"The Region’s Biggest Food and Beverage Processing Industry Event"
As a food & beverage manufacturer, you are faced with multiple socio-economic, operational and food safety concerns. Becoming energy-efficient, finding budget-friendly raw materials, putting manpower to better use and boosting productivity are all front of mind, while still aiming for greater profitability. Ingredients showcase essential ingredients that improve taste, aroma, color, texture, and nutrition. Everything from general cross-industry processing line and technologies to industrial equipment. Supply Chain Solutions is the focus for all those involved in materials handling, transport. Overall the exhibition was really good less busy than previous years (This could have been because of Diwali) I really like the fact that there seemed to be more equipment companies displaying. Looking forward to February's exhibition. 5 10 Nov 2018 Nasser Pakgohar Managing Director at Inter-Freeze Co.,Ltd. 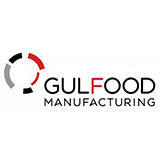 Very well organized and a huge number of foodprocessing machinery manufacturers participated. It was very interesting. Thank you very much. 5 06 Nov 2017 Nasser Pakgohar Managing Director at Inter-Freeze Co.,Ltd. I am really satisfied visiting the Gulfood 2018.It was very well organized and I could visit and talk to the relevant persons in the booths related to my business. Good luck. Have a nice day. Best regards. Nice arrangements like past years.All setup was great and informative for all visitors. Exhibitors profile include equipment, from packaging machinery to control and automation tools, from cold chain to supply chain, materials and logistics solutions, and from new line to complete greenfield and turnkey solutions. Al Khoory Executive Hotel, Al W..